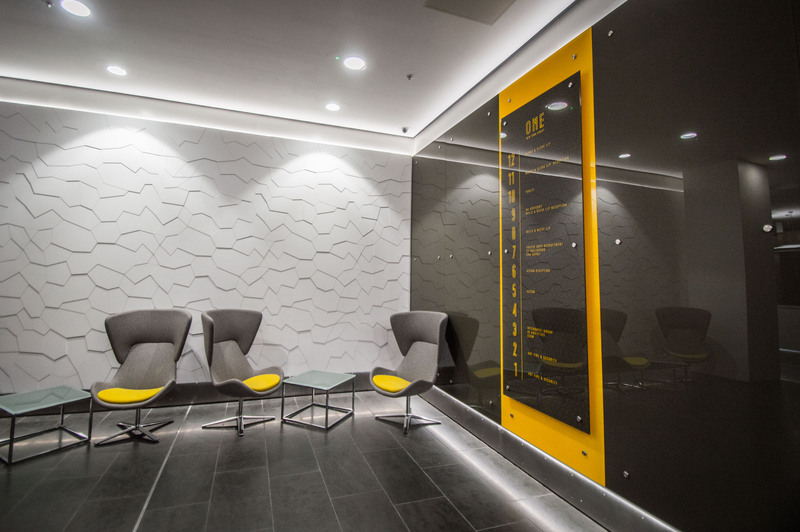 A bold statement installation recently completed by our team. 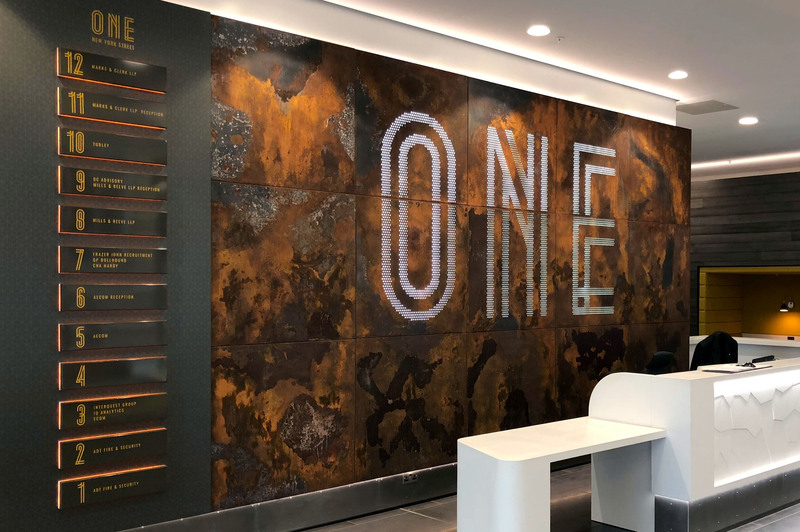 We were approached by our client, Stonehouse Projects to develop a mix of unique branding elements such as a bespoke patina wall feature and vibrant large scale wayfinding for this modern fit out at One New Street, Manchester. 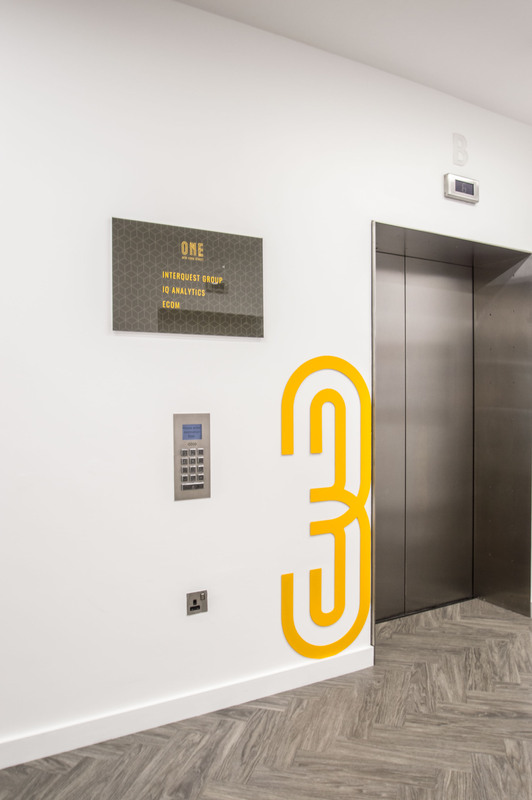 A large directory wayfinding system was produced using 8mm toughened glass and installed in the reception area. 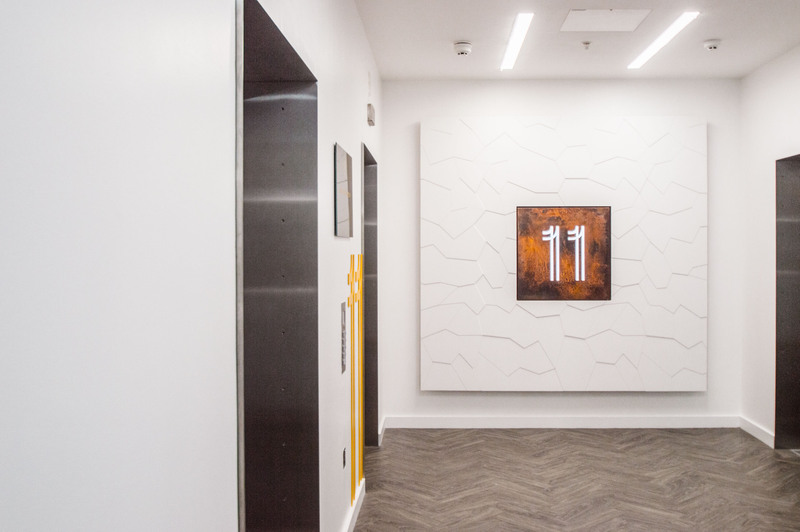 Large floor numbers were created using painted acrylic – coloured in the highlight shades of the scheme and installed with concealed fixings offering a clean finish to compliment the fresh, modern interior. 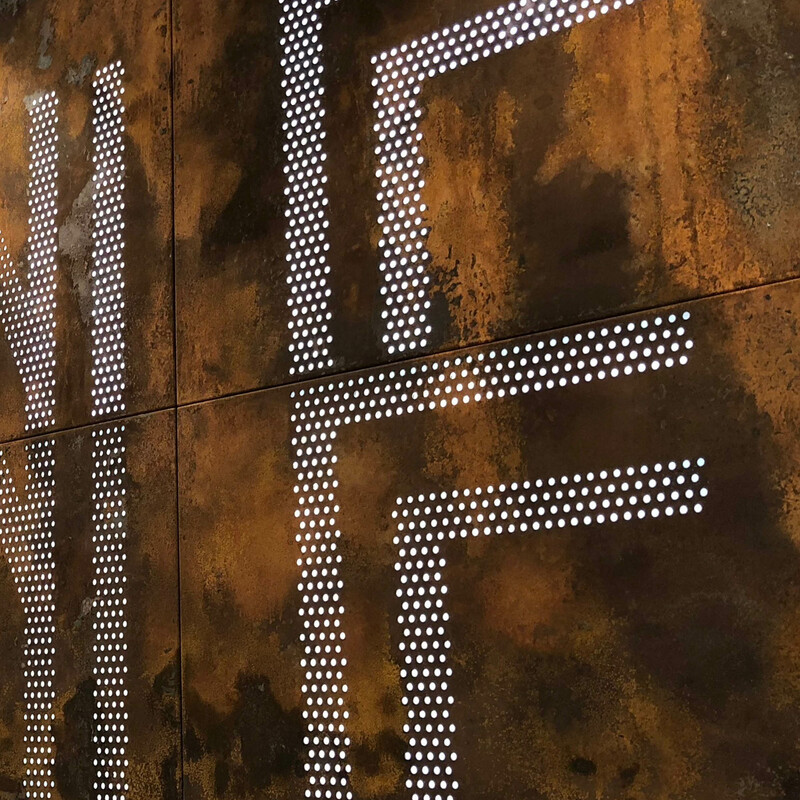 The metal feature wall art in One New York Street was designed as a showcase and exploration of what can be achieved using metals and bespoke patination techniques; a service we offer at 4d creations under our Architectural Features product range. 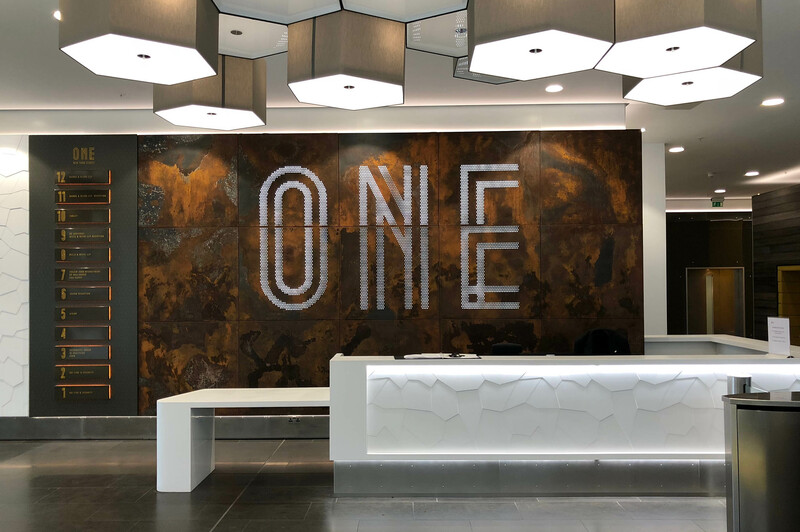 A unique mix of art installation and architectural feature, the main feature sits within the reception area of the office. 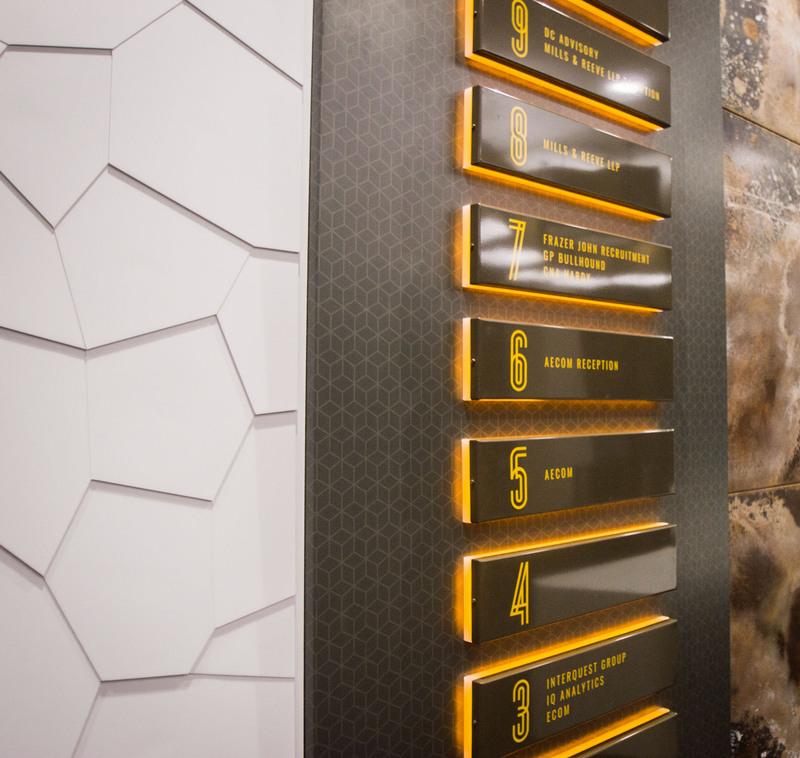 In addition to the metal feature wall, we developed the smaller illuminated wayfinding panels for the building. 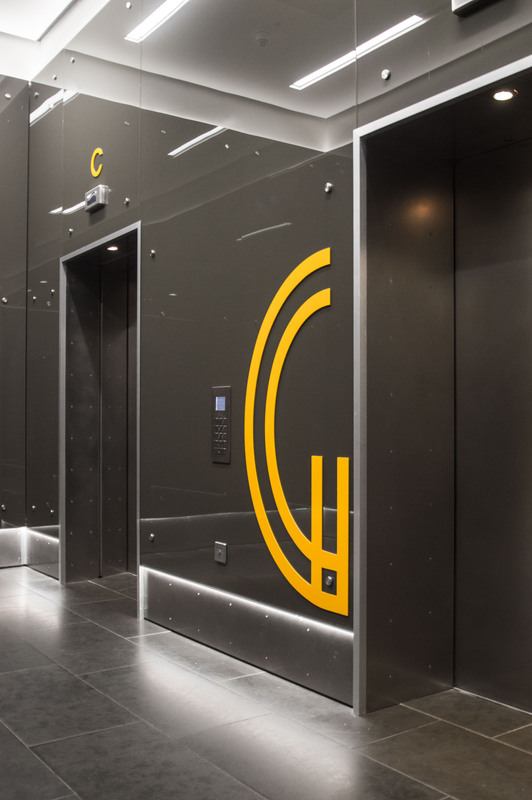 The concept celebrates creativity and craftsmanship and turns each lift lobby into an interesting space to explore. 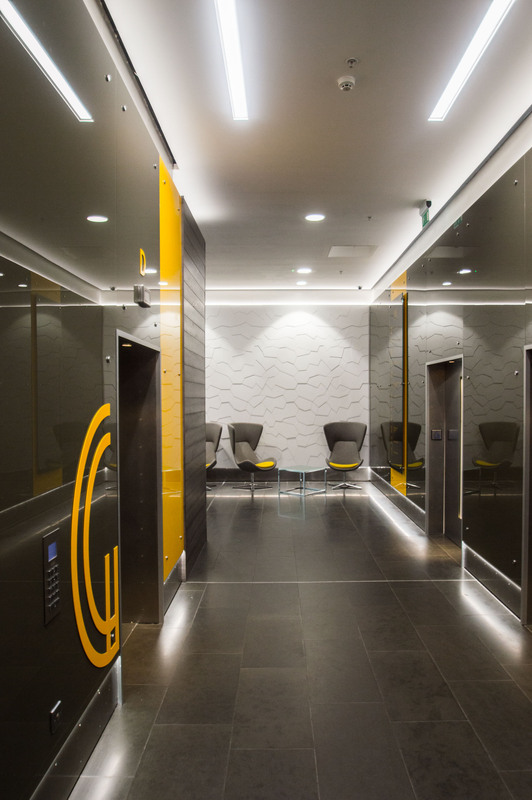 In this instance the client was keen to achieve a rusted finish with surface texture and warm tones to compliment the interior scheme. 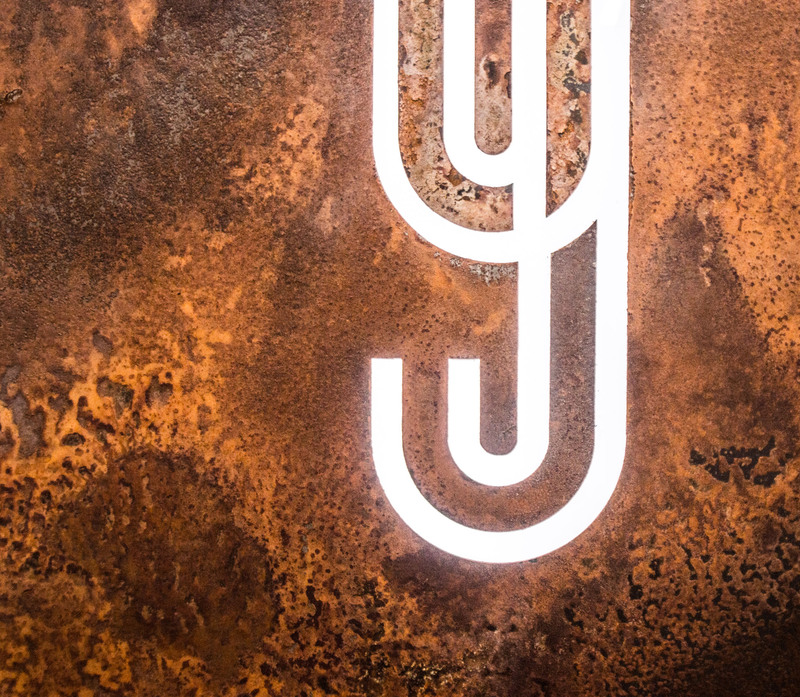 To achieve this, the team carefully selected a blend of ingredients, tested over many weeks and thoughtfully applied to the face of the metal. 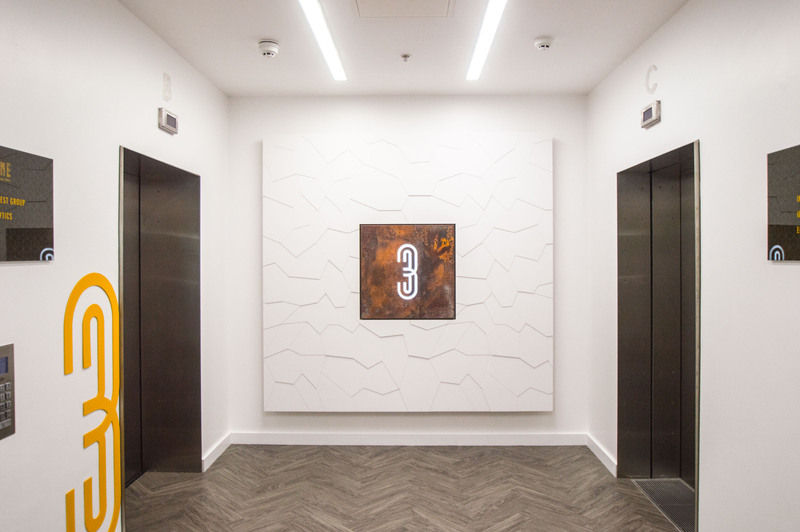 Housed within the panels is an illumination system allowing light to glow through the surface laser cut holes on the larger feature piece and the numerical digits in the smaller panels. 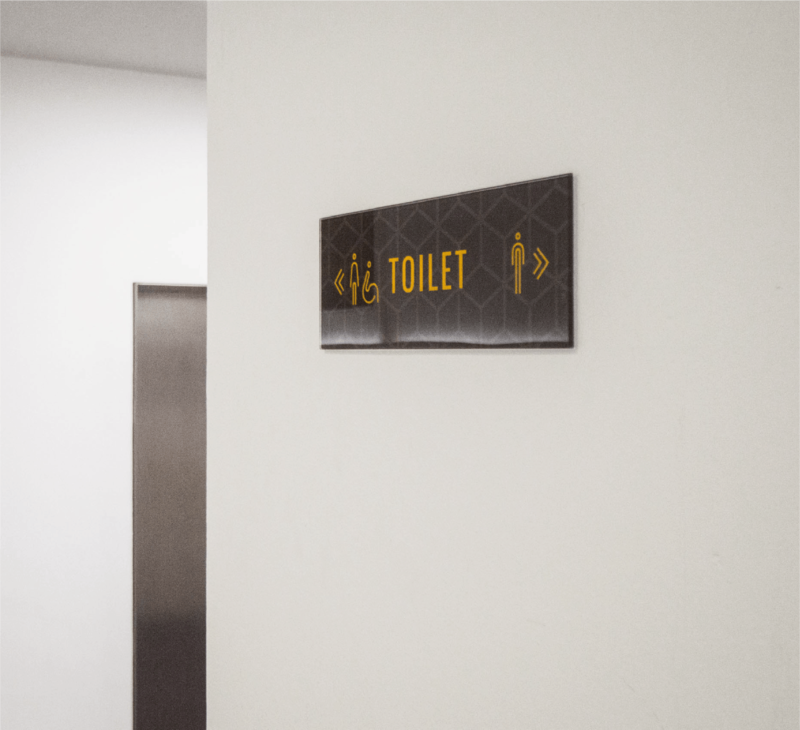 The juxtaposition of worn rusted panels and fresh, clean interior finishes creates a hugely successful end result in this building; a true celebration of modern interior design. 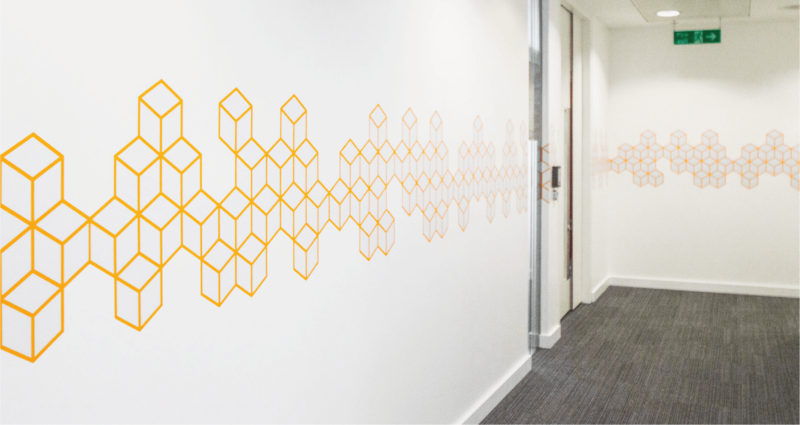 A vibrant geometric repeat pattern was printed on our creoscape surface film and applied as a band highlight along the internal walls; a simple finishing touch. 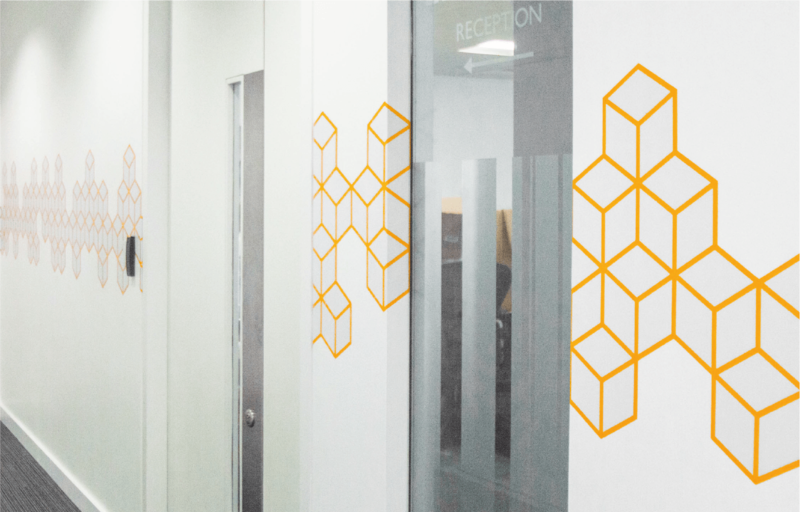 Our final product installed was this bespoke directory wayfinder system. 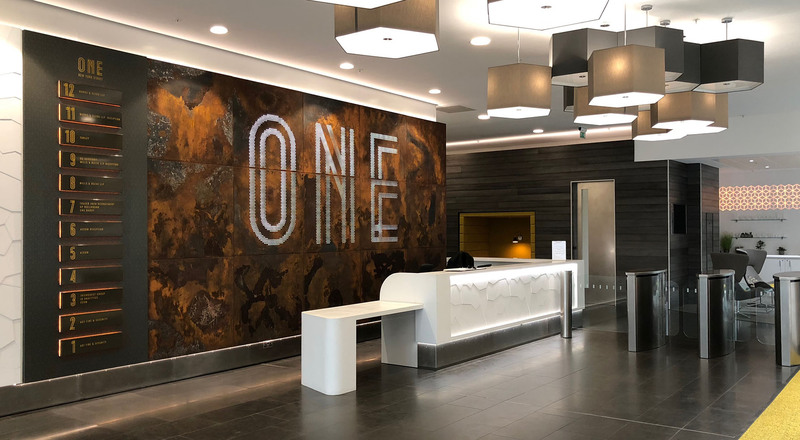 Created using separate panels printed on creoscape surface film and secured to a 3D illuminated blocking system adding further depth to the interior space.